Glamping Holidays in the great UK outdoors are more popular than ever! Why not visit our lakeside holiday lodges in Wiltshire for the ultimate glamping, or luxury camping, holiday. – Longleat Safari Park and House is only a 10 minute drive from Fairwood Lakes Holiday Park and is a real gem for our family visitors. – Frome is a delightful town only approximately 5 miles from Fairwood Lakes. – The City of Bath is only a 20 minute drive or 10 minute train journey from Fairwood Lakes and is a city filled with history. – Stonehenge is one of the wonders of the world and one of the best known pre-historic monuments in Europe, and at only 23 miles away it is a must see! 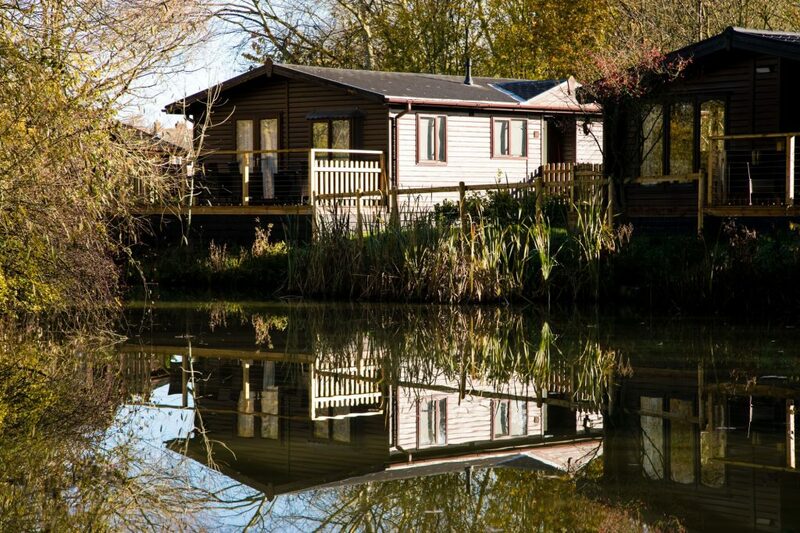 Our luxury Lakeside Lodges feature unrivalled views over the still waters of our beautiful hidden lakes. Spend an afternoon curled up with a good book in our cosy living rooms or cast your fishing rod directly in front of your cabin to enjoy the serene tranquility this setting has to offer. 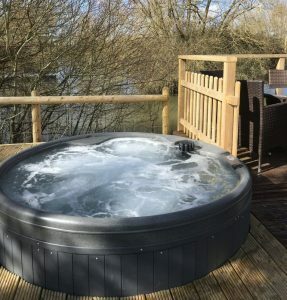 Our lodges “Avocet”and “Dunlin” come with a six person hot tubs. Our lodge Barnacle is dog-friendly and we can accommodate one small dog in the lodge.